Australia is a preferred destination for migration by individuals. Immigration to Australia gives you a chance to explore this beautiful land of opportunities which is full of stunning landscapes, attractive places and phenomenal monuments. This country is also well known for its vast kangaroo population as well as great flora and fauna diversity. Migrate to Australia to enjoy all the benefits of a country in overseas, which respects an individual’s freedom without compromising or putting the nation’s integrity at stake. 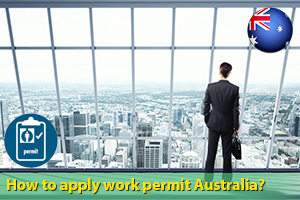 If you are a skilled worker, you can Work in Australia. Obtaining this visa depends upon the kind of work you want to engage in and the type of visa you want to apply for. In case you have already acquired the required skills and qualifications that the country is in need of, you can be invited to apply for the Australian Work Visa, after being sponsored by an Australian employer. Apart from this, if you want to participate in some special cultural, professional or social activity in Australia, you can apply for this visa. Skilled Independent visa (Subclass 189) – Most popular form of Australia skilled migration which does not require sponsorship. Skilled Nominated visa (Subclass 190) – Requires sponsorship from an Australian employer, territory or state government or by nomination from a family member who is already a resident of Australia. Skilled Nominated (Provisional) visa (Subclass 489) – Temporarily allows you to live and work in Australia in a designated state or territory. Temporary (Skilled) Work visa (Subclass 457) – It is valid for four years. Hence, it is also a short type of visa. It is usually granted to a person by an approved Australian business in case of the dearth of skilled workers in Australia. I am Bangladeshi graduated general physician worked government hospital since 31st December, 2003.I want to migrate to Australia with my family under Australian government job visa which is suitable for my carrier & family. Thanks. Migrate to Australia under employer sponsored permanent visa.Thanks.